Special cone design adds depth to the coffee layer allowing the water to flow into the center, extending the amount of time it is in contact with the ground coffee. Designed for Hario Drippers - size 02. For 1-4 cups. 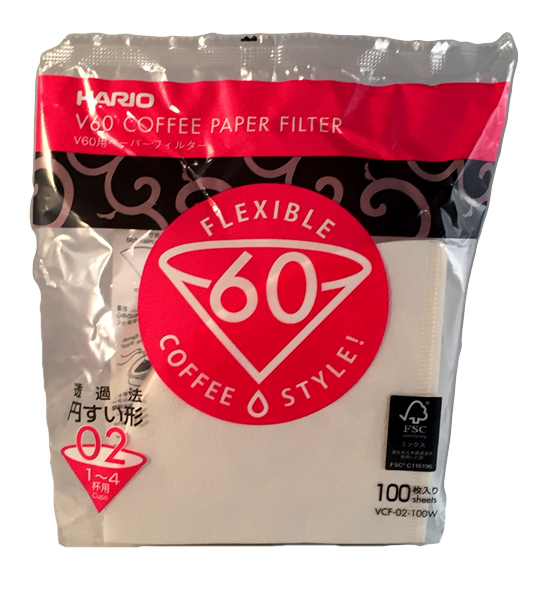 Package contains 100 filters.